Oftentimes, you’ll come up with a great germ of an idea for a story. You’ll dash off to write it, but when you do, you’ll find yourself meandering, following twists and turns that your erratic right brain dreams up seemingly out of nowhere. Eventually, you end up with a jumbled mess of a draft—plot twists that go nowhere, holes you forgot to fill in, and characters whose situations you forgot to resolve. If you’re not the sort of writer who outlines before embarking on a project, you’re almost certain to end up with such disarray. While I could take this opportunity to urge you to outline beforehand (and I probably will at some point), I’m going to give you a different bit of advice. That advice is to take heart. When you muck about in a draft, you do, invariably, toss up a lot of mud. In fact, you end up with piles of it. 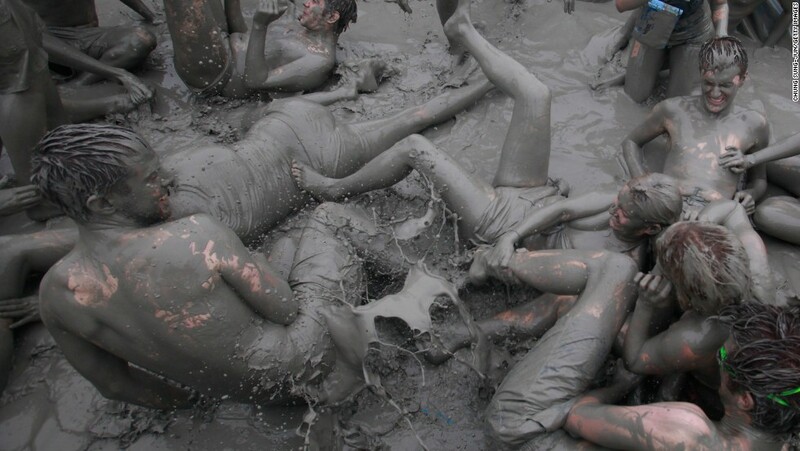 Writing is like that: lots of digging around in the earth and getting yourself covered in ick. But while you do dig up a lot of useless mud, you also inevitably stumble on some gold. And that’s the whole point of the rough draft—finding the gold. When you get to the end of your draft, and you’ve got a sinking feeling that you’ve got a lot of dren, take the time to go back through what you’ve written. My bet is that pieces of the real story are hidden there in all the garbage. Those are the pieces you want to keep and stitch together into the story you meant to tell. If you’re really the kind of spontaneous writer who refuses to outline, then this is a process you must learn to embrace. Befriend it. In fact, learn to enjoy the ride. Accept that this is how you write, get out your shovel and work boots, and make a mess. In your writing life, you might come to a point at which the magic stops. For some time, you’ve suspected it was going to happen. Maybe ideas don’t come to you as often, or getting them down has become harder. And now, suddenly, you can’t write at all. You might still be able to put words on paper, and they might even fool other people into thinking you’re producing good work, but you know the truth. You know the fountain has dried up. If this happens, the problem might not lie in your writing abilities, nor in your ability to think of new material. The problem may be that you’re living a lie. Let me explain. We’re all forced to do things in life that we don’t want to—jobs we hate, family get-togethers we’d rather avoid, that sort of thing. Few people have the freedom to do exactly what they want 100 percent of the time, and those who do are probably not very nice to be around. But none of that really interferes with your ability to write. What does interfere with your ability to write is when you consistently, day in and day out, pretend to everyone that whatever it is you’re not wanting to do really is what you want to do—including to yourself. I don’t mean that you should have a bad attitude about the distasteful things we all have to do to get along. Not at all. What I do mean is that if you are going so far as to not even acknowledge the truth to yourself, then you are definitely living a lie. The fact is, if you’re so immersed in a daily lie that you are even pretending to yourself, then your creative voice is going to atrophy. Because art is about telling the truth—and if you can’t tell the truth even to yourself, then you surely can’t tell the truth about anything else. I’m not suggesting you up and abandon everything in favor of homesteading in Alaska. No. But you do need to admit, to yourself, that this situation, whatever it is, is not actually what you want. Write it down. Write it all down. This will terrify you. Burn it, then, if you’re afraid of what you’ve just written down. You’ve just finally been honest with yourself. And maybe the situation is such that it’s actually impossible to change for financial, familial, or health reasons. Okay. You’re not the first writer to have responsibilities. What can you do? You can stake out a part of your life that is yours and that you can live honestly. If you secretly always wanted to be a homesteader, take canoeing and camping trips. If you always wanted to be a ballerina, and not an accountant, take some dance classes. If you can’t afford either one, save some seeds and plant a garden, or watch YouTube instructional videos. Be like water, which always finds a way, even through rock. You might be surprised when the words return to you.